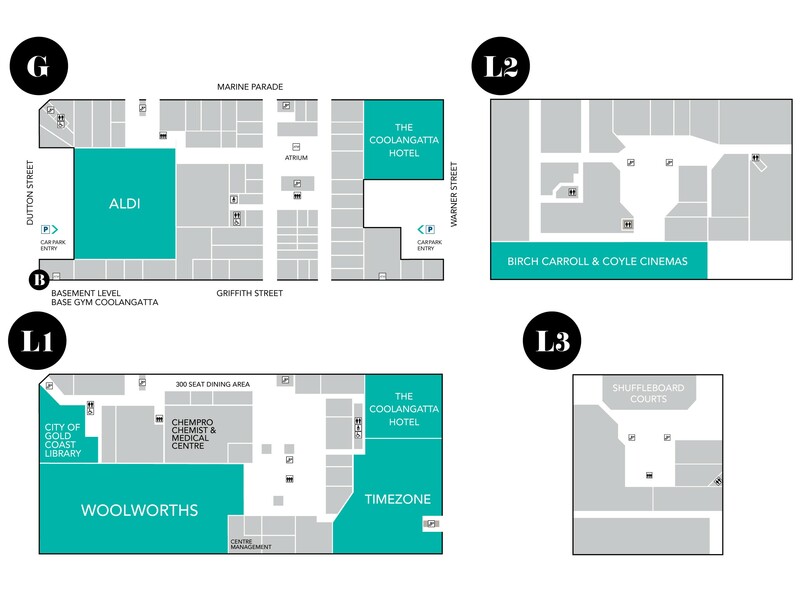 The Strand at Coolangatta is the home of beachside shopping, dining and entertainment. Anchored by Woolworths and Aldi, enjoy shopping at The Strand at Coolangatta's boutique mix of shopping and dining experiences, and entertainment for the whole family. We offer a fully-equipped parents’ room. This is fitted with private feeding cubicles, changing benches, microwave and sinks. This is located on Ground floor, next to Esteem's Boutique (opposite main amenities). There is a second parent's room, located on Level 1 near the main bathrooms. For the convenience of our customers, The Strand car park offers 3 hours FREE underground parking on weekdays and 2 hours FREE on weekends, accessible via Warner Street or Dutton Street. Plus, if you see a movie you’ll receive 4 hours free parking upon validation of your parking ticket at BCC Cinemas Coolangatta. We want to know what you think of The Strand at Coolangatta. Have your say and leave a review at Google My Business. Not sure how to post a review? It's easy! Just type "Strand Coolangatta" into the Google search engine. When the search results appear, look for The Strand at Coolangatta listing on the right. Just click on 'Write a review' and away you go!